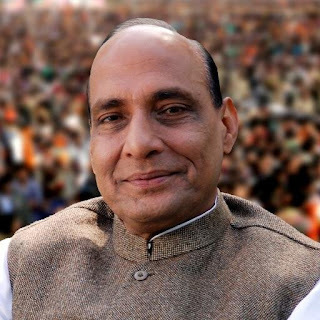 New Delhi [India], May 18 (ANI): Union Home Minister Rajnath Singh will leave on a three-day visit to Sikkim tomorrow. During the visit, the Home Minister will chair a meeting of the Chief Ministers of five states on the Indo-China Border viz Jammu and Kashmir, Himachal Pradesh, Uttarakhand, Sikkim and Arunachal Pradesh to review the Indo-China Border Security issues, in Gangtok on May 20. This is the first time such a meeting is being held by the Ministry of Home Affairs (MHA). The objective of the meeting is to strengthen the coordination of MHA with the five states on Indo-China Border to improve the overall border security as states are also partners in security of the borders. In this meeting, discussion will be held about the border infrastructure work under taken by MHA, Border Area Development Programme and coordination issues between the states and the ITBP etc. Singh will also be visiting Nathula Pass and ITBP border post at Lachung to meet the Jawans of ITBP on Indo-China Border. On May 21, he will visit the SSB Bns. Hqrs (Geyzing and Yuksam), besides, flying over SSB border posts at Uttarey, Kumukh & Bajrajadhara on Indo-Nepal Border. The Home Minister will also interact with jawans at a Sainik Sammelan at Geyzing. Singh will later attend a Civic Action Programme at Pelling in West District, Sikkim.